Let's get this party started Miami! Picking up from where it left off in 2016, Miami Music Week 2017 promises to be the place to be this March 21st through the 26th. In 2016, there were more than 1,180 artists performing at over 260 events that were hosted at 78 plus venues and the event planners hope to top that during Miami Music Week 2017. For the past 7 years, Miami has transformed itself during the MMW into a dance music paradise. This is a week-long marathon of non-stop parties and concerts featuring all the major artists in the electronic dance music scene. 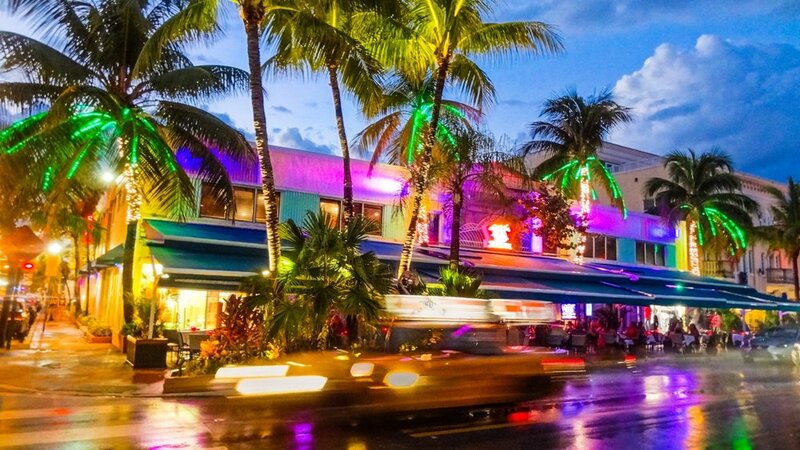 Soho aka "The Miami Music Week Hotel" is the place to be during this year's MMW. Located right in the heart of Delano, the prestigious urban resort, in South Beach. This will be the epicenter of the parties throughout the week and the gathering place, both day and night, for music fans from all over the world. These promise to be the best parties Miami has to offer the dance music enthusiast. During the grand finale, also known as the world's premier electronic music festival or "Ultra Music Festival" which is held over the course of the final 3 days of Miami Music Week expect to join more than 165,000 fans from over 90 countries during the culmination of this amazing week. Marshmello and Friends. 10 p.m. Wednesday, March 22, at Soho Studios, 2138 NW First Ave., Miami; 305-600-4785; sohostudiosmiami.com. Tickets cost $40 via ticketfly.com. or Mosaic. With Maceo Plex, Marcel Dettmann, Stephan Bodzin, Mike Servito, North Lake, and Danyelino. 9 p.m. Saturday, March 25, at Soho Studios, 2138 NW First Ave., Miami; 305-600-4785; sohostudiosmiami.com. Tickets cost $20 to $40 via residentadvisor.net. M.A.N.D.Y. will be at Do Not Sit on the Furniture on the 21st from 10 PM till 5:00 AM. Ticket prices are $20 and up. Axtone's throwing a major Miami Pool Party on Wednesday, March 22nd from 2:00 PM till 11:00 PM. Hosted by Delano Beach Club, the Tickets start at $48. For those looking for free fun, there is a night with S E R A F I N and Friends happening on Wednesday, March 22nd. Check them out at the Foxhole located at 1218 14th Court, Miami Beach. Ultra Music Festival begins on Thursday, March 23rd and runs through Saturday, 25th. This show will feature headliners such as: Cypress Hill, Ice Cube, and Underworld. You do not want to miss year's Miami Music Week. Check out the whole schedule online at www.miamimusicweek.com. We at Soho can't wait to see you in the house. Older PostWhat's Next: Super Bowl for Cars?